By the end of most days, my browser is full of different tabs, and so many apps and tools are running that they eventually start shutting down of their own accord. When all of these sites, apps, and tools are working, I spend a significant portion of my day using them: to write, to proofread, to extrapolate data, to keep track of what I’m working on, to update notes -- all in the name of efficiency. But as it turns out, the tools and apps that we marketers use every day could actually be making us less efficient. If you feel the pain of switching between 1,000 apps per day like I do, read on for new data from HubSpot Research. 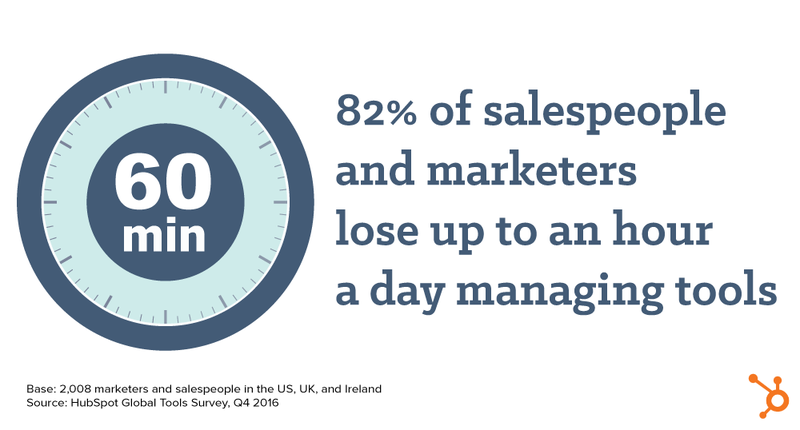 We surveyed more than 2,000 business owners, salespeople, and marketers in the U.S. and U.K. The biggest finding from our research? Marketers and salespeople are using too many productivity tools and apps, and it’s actually making us less efficient. 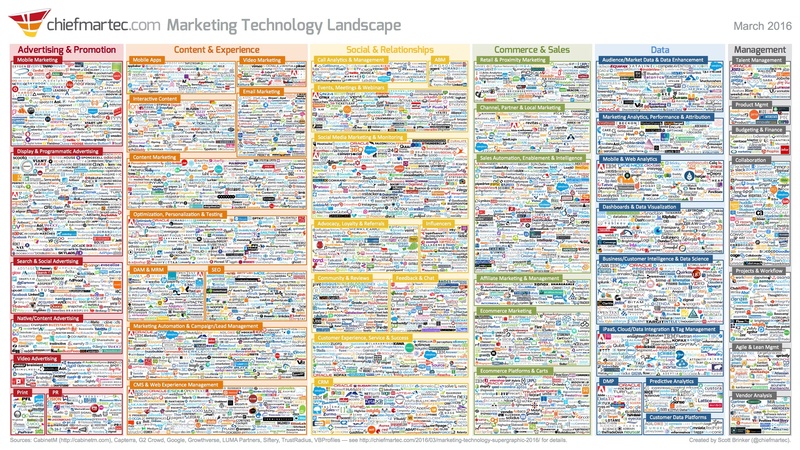 Marketers are using a ton of tools. 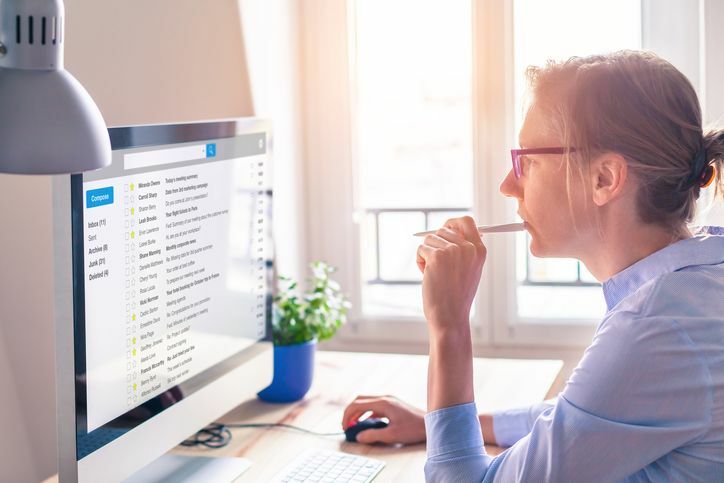 You probably knew this one already from your own day-to-day experience, but it bears repeating: There are an enormous number of marketing tools out there, and marketers are using a lot of them to get their jobs done every day. Now, before you keep reading, think about how many tools you use every day to do your job. Keep that number in mind as you keep reading the results of our survey. 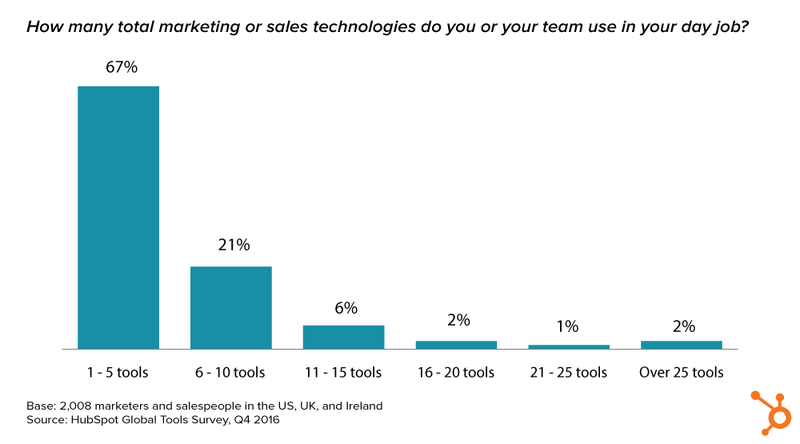 Marketers underestimate how many tools they’re using. When I counted up the number of tools I use every day, my initial count landed at seven tools and apps. But then, when I started digging into my internet history, I realized the number was actually higher. HubSpot’s internal communications platform is a tool I didn’t consider. The same goes for our file-sharing service, my social media scheduling tool, and an analytics bookmark. By the time I fully audited every single tool and app I use in a given day to do my job, the number was in the double-digits. And as it turns out, I’m not alone. When we asked our survey respondents how many technologies they used in their day jobs, their answers were surprising -- and perhaps too low. The majority of survey respondents said they only use between one and five tools to do their jobs every day, and we think these numbers err on the conservative side for the same reason my initial number was so low. 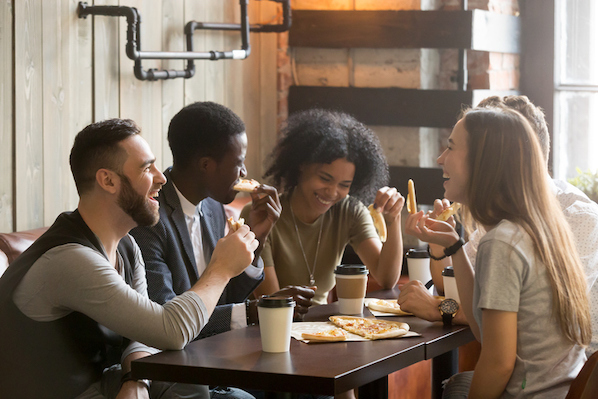 When technology becomes a part of your day-to-day routine, it’s easy to forget you’re using it -- and to notice that it could make your day less efficient. When apps and tools are built into your workday as browser extensions, bookmarks, homepages, and push notifications, for example, it can be easy not to count them. But as it turns out, using them is taking up valuable time. In an ironic twist, tools designed in the name of productivity and efficiency could be impeding those results. We asked marketers to estimate how much time they spend each day logging into, using, and jumping between the different tools and technologies they use. The results were surprising: Marketers are losing up to five hours per week managing and operating apps to get their jobs done. 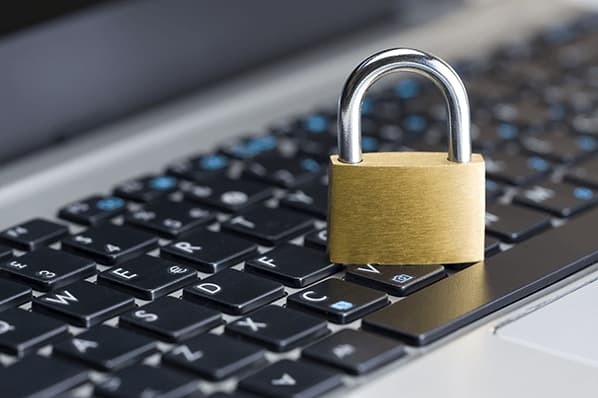 The two biggest pain points for survey respondents were how much time it takes to work in and operate the myriad of different marketing tools out there, and how much time it takes to switch between tools using different logins and passwords. 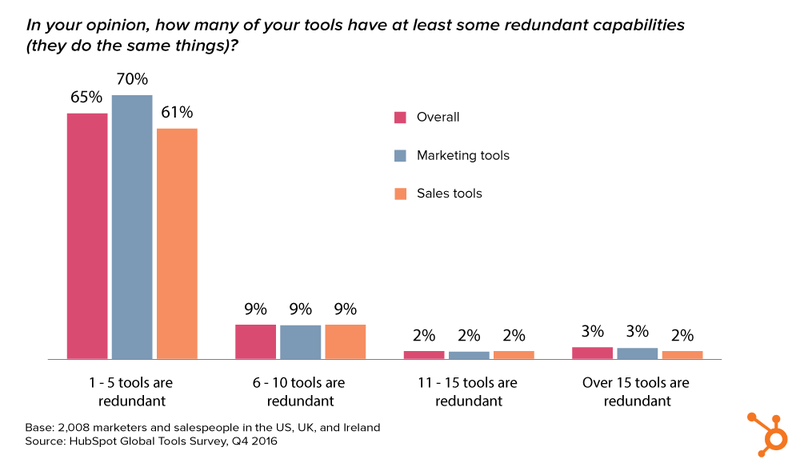 That hour lost to managing different tools and technologies each day is all the more aggravating if the tools share functional capabilities, and a majority of the marketers we surveyed think up to five tools they use could be redundant. I don’t know about you, but there are definitely redundancies between some of the tools I use. Heck, I use two to-do list apps and still write my list down with a pen and paper every day. How many tools do you use that work to do different versions of the same functions? Marketers could be using that time to do other cool things. The three things marketers would prefer to focus on -- growing web traffic, creating content, and converting new leads -- might look familiar. 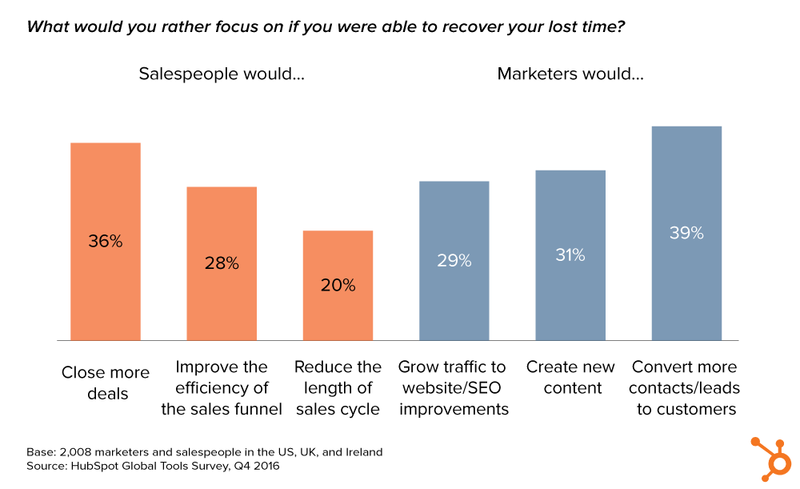 They’re critical pieces of the inbound and content marketing funnel, and without ample time to dedicate to these tasks, marketers might not be able to generate as many leads as needed for their sales teams’ success. The results of this survey aren’t great. Marketers and salespeople are having trouble being as efficient and productive as possible because they have to manage so many different tools. They’re sacrificing time to work on projects of greater impact and magnitude to log into tools and extrapolate data. But not to worry -- we suggest two steps to maximize efficiency and stay productive in the face of hundreds of productivity tools to choose from. If you didn’t do it earlier while reading, sit down and write down (or type) a list of all of the websites, tools, apps, extensions, and bots you use every day to get your work done. From your sticky notes app on your computer to your pen and paper to-do list, make an exhaustive list of everything you use to get everything done. Then, try to categorize your tools and apps into different functionalities to identify any redundancies in your productivity system. If you’re using three different types of to-do lists, as I do, can you cut two and just use one? If you’re spending time reporting data from three different analytics programs, sit down with your team to determine if there’s a more efficient way you could be reporting, or if your KPIs are up-to-date with your team’s needs. The ultimate goal should be to create a system of tools that are easy to use and make marketers’ jobs as productive as possible. 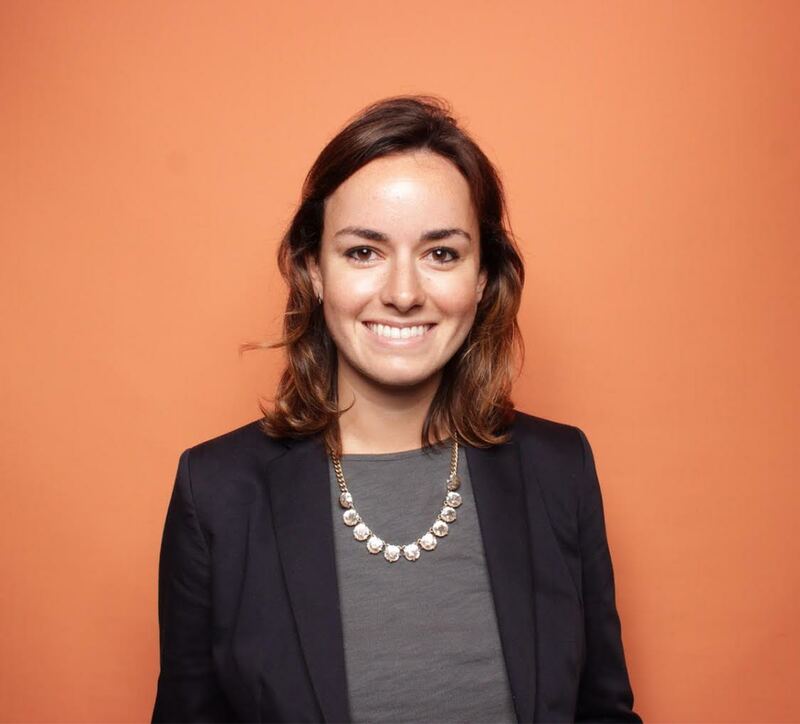 To learn more about how we’ve done that here at HubSpot, read about our completely integrated Growth Stack here. How much time do you think you lose each day to redundant tools and apps? Share with us in the comments below.